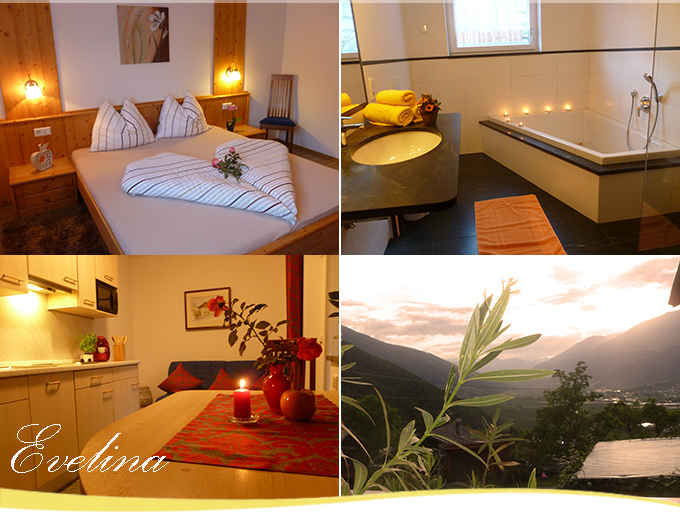 You will immediately feel at ease in our new apartments called „Gala“ and „Golden Delicious“. They offer every comfort including dishwasher, central heating, coffee machine, microwave oven and hairdryer. The Golden Delicious apartment will additionally spoil you with a beautiful wood-burning oven which will warm you in a very pleasant and cosy way on cool evenings. Both apartments have a big balcony with panorama view. We ask you to be so polite as not to smokein our apartments.